The Rutgers University - New Brunswick program in Bioenvironmental Engineering is accredited by the Engineering Accreditation Commission of ABET, www.abet.org. Graduates will meet the expectations of employers of bioenvironmental engineers. 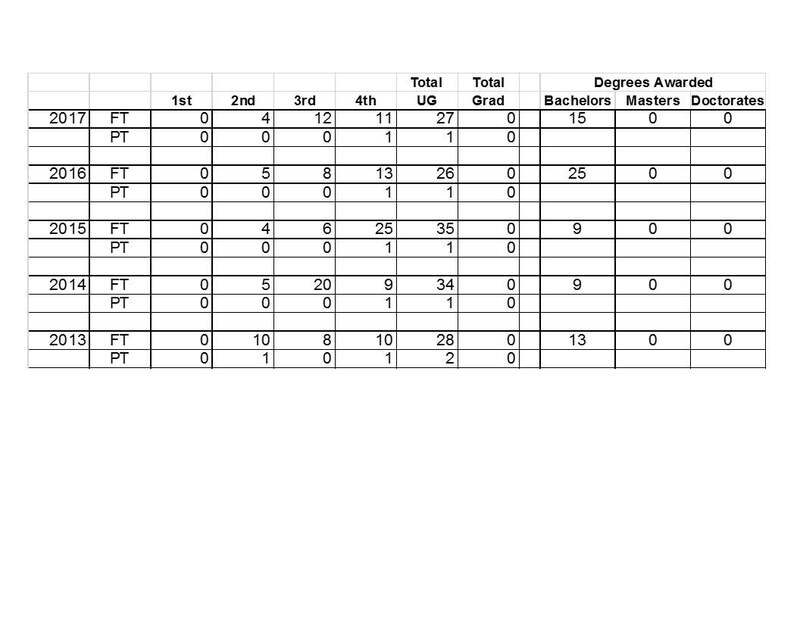 The table shows five years of enrollment and degree data. Association with an engineering major typically starts in the second year. Bioenvironmental Engineering enrolls additional students through the School of Biological and Environmental Sciences ( http://academics.envsci.rutgers.edu/bee/ ).